Call George Lucas - RE/MAX harbor country @ Union Pier. 269-449-4068. Lake Michigan Lakefront - Harbert. Built in 1960, this charming home has a comfortable cottage feel and a great sense of "being on the water". Open concept design with vaulted ceilings, wood floors and a fireplace. 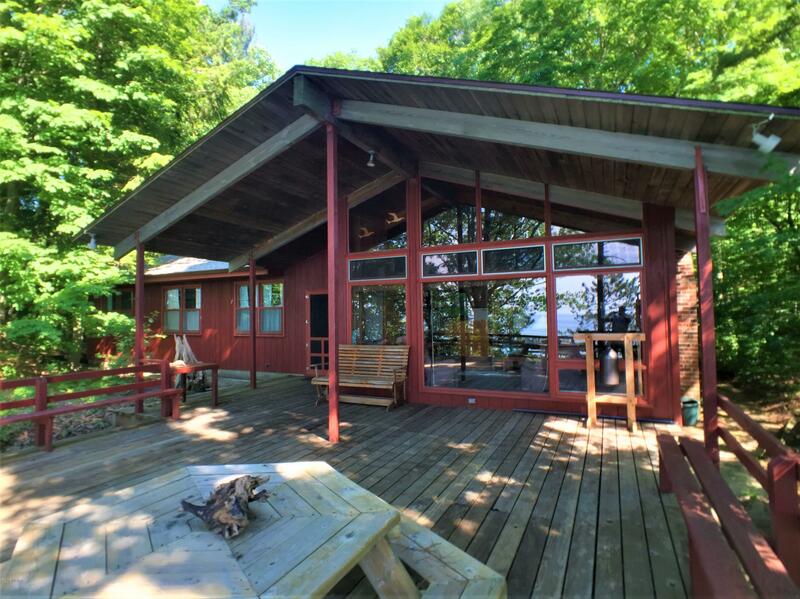 Huge deck overlooking Lake Michigan and a large screened-in porch. Also included is a cozy studio guesthouse with a half-bath. Association beach access to a 500' wide sandy beach, shared with only three other homes. Well loved and well maintained throughout the years, this property has been in the same family for several generations. 4-Bedrooms, 1.5 Baths, private wooded setting and a great rustic charm. If a simple cottage in a tremendous setting is what you seek, this may be the home for you!